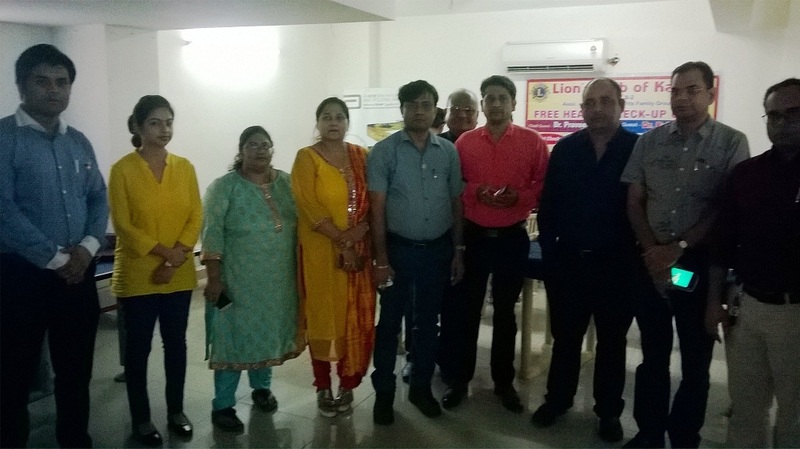 Rama University’s Faculty of Dental Sciences, Department of Public Health Dentistry Sciences, conducted a free Heath Check up Camp at NRI City, Mainawati Marg,Kanpur on 20th August 2017 in coordination with NGO – Lions Club, Kanpur. 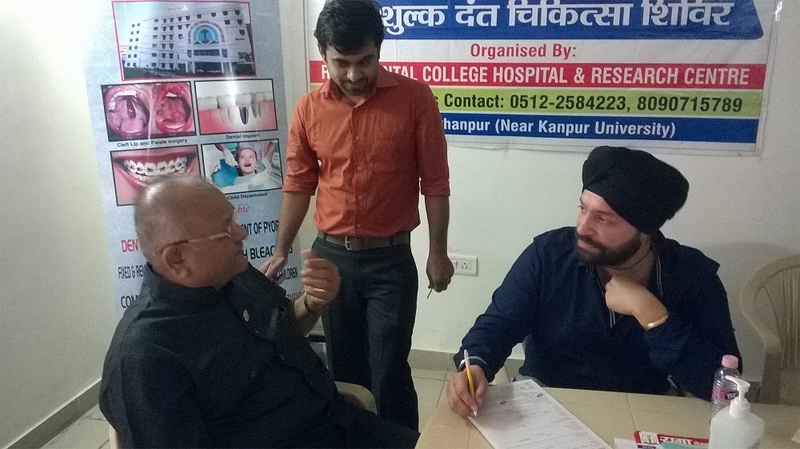 A total of 70 patients were screened. Investigations like blood pressure and random blood sugar were also performed. 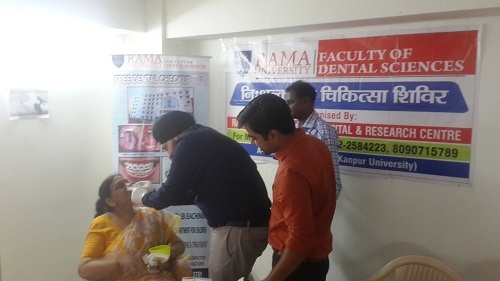 Oral health education was imparted to the patients along with the demonstration of the correct tooth-brushing technique. 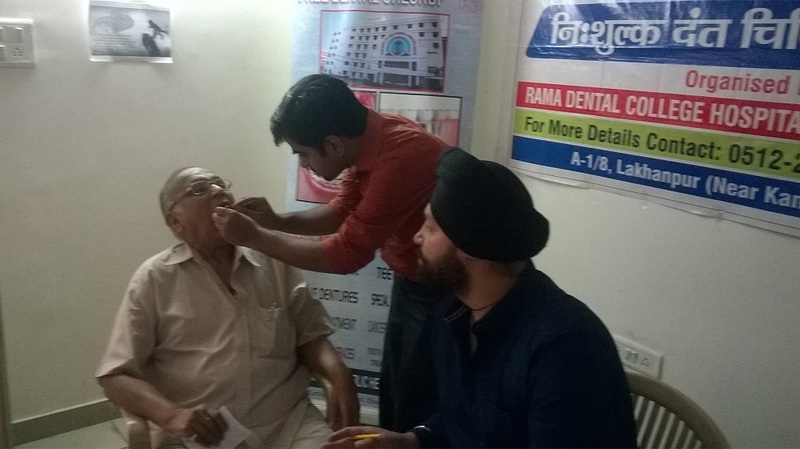 Free medicines were distributed at the camp, and some patients were referred to Rama hospital for further care. The camp was conducted in coordination with liaison officer Mr. Subramanyam.